Like the tank bag, the first thing I noticed about the Backcountry duffel was quality. Every piece of it from the buckles to the straps to the tarp feels like it was designed to last through a nuclear war (maybe a slight exaggeration but you get the point). Their 'Soft Luggage for Hard Travel' motto seems spot on. The Backcountry does have a bigger brother, a 40L version, but if the measurements work out as it shows on the website I think this one will sit perfectly across the back and still give me access to the panniers on the side of Robin which was the main goal with a duffle. Since I don't have a top box, I may have to play around with the location of this and the AltRider 14L dry bags (tent, sleeping bag, pillow) to figure out exactly how I want them to sit (and keep the little drybags weight off the panniers). I've done a couple sample packs this week, and it seems to be the perfect size. It was always my intention (to start with...) to keep all my clothes in the waterproof duffle, then to put everything else in the panniers (with the idea to keep the weight as low as possible). Right now I have all the clothes in there, with a pile of Go Pro equipment, and some various odds and ends and there is lots of room! Which is good considering I tend to be a pack rat travelling and pick up bits and pieces along the way. 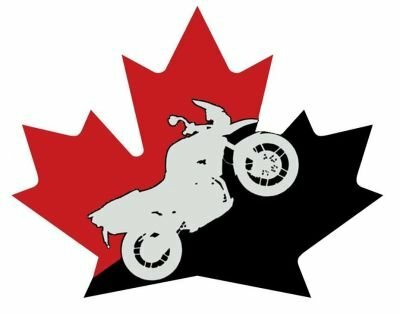 Hopefully this motorbike trip helps me break that and I ditch things along the way instead! 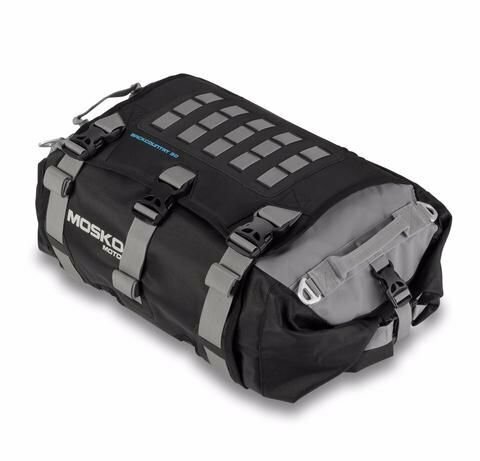 Link to the Mosko Moto Backcountry 40L is here!